If you are looking for a shop that can install a high performance tuning chips in your Volkswagen, Audi, or Porsche, you’ve found the right place! We specialize in German Automobile tuning chips and we’ve installed them in cars from South Carolina SC, to North Carolina NC, and Georgia GA. If you want performance from your German made automobile, (VW, Audi, or Porsche) then you need to see us first! That’s our “thing” and we love nothing more than installing tuning chips and doing high Performance Tuning. It is at the heart of what we do at JK Automotive & Performance LLC. Located just off interstate 26 at exit 199B, we offer only the finest in performance parts for your VW, Volkswagen, Audi or Porsche vehicle. 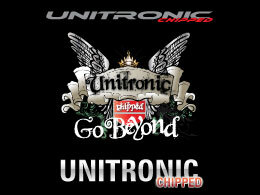 We use and recommend the Unitronic Chip Tuning/High Performance Software and we are the only dealer for these parts, chips, and software in South Carolina. But German auto performance tuning isn’t all we do! We are also a complete auto repair center for all your German auto maintenance needs from tune-up’s to clutches, electrical to oil changes. Our service technicians are not only German Auto Enthusiasts we are experts in German auto service and parts! We have multiple years of combined experience in keeping your German car running smoothly and in the art of FINE TUNING German vehicles. JK Automotive can provide a wide range of auto services with precision and accuracy, just as it was intended for your German manufactured vehicle. What we really want you to know is, you can trust us with all of your German auto needs. We are not merely a tuning shop, we also provide the best in quality repairs and routine maintenance. We want to offer you auto repair services at a reasonable price. We use guaranteed OEM and aftermarket products. We don’t simply troubleshoot your vehicle until we “think” we found the problem like many shops will. We will take the time to properly diagnose your vehicle, using the latest in diagnostic equipment so it is done right! We have the knowledge and know how to save you time and money, by accurately diagnosing and repairing your car so you don’t have to return until the next time your need us. If you are looking for a shop that offers everything you expect from a reputable auto repair shop AND a shop that offers expert performance fine tuning chips for your VW, Audi, or Porsche we are here for you. Whether you live or work in Summerville SC, Goose Creek SC, Ladson SC, or downtown Charleston SC, we are here to serve you. We service the Low Country and the entire Southeastern area and we hope to see you soon!